The kitchen forms an integral part of every contemporary modern home. Form a simple place for firing a cup of tea, the kitchen is now taking a new dimension and attracts more importance than never before. While the earlier years saw the kitchen to be a place independent of the living room, recent ideas indicate otherwise. There is now a new way around doing kitchens, combing the living room and the kitchen along with injecting a new way of seamless functionality and adaptability. 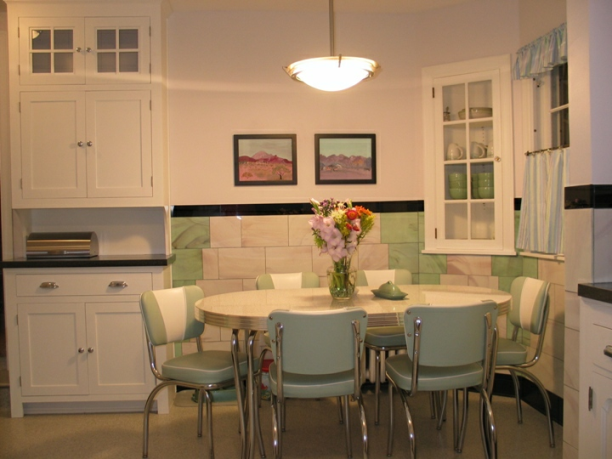 One of the best kitchens in the world now is the retro kitchen, taking on an advancing perspective that makes it both trendy and unique. 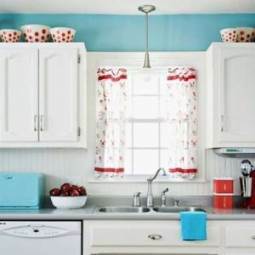 Here are three things that you should never miss in your retro kitchen, let alone any contemporary kitchen for that matter. 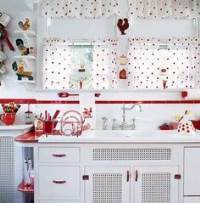 Décor comprises of each and every thing that adds to the look of your kitchen. 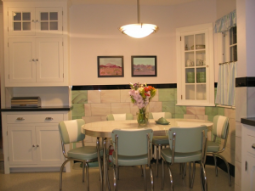 Forget the old-fashioned kitchens that looked stuffy and disorganized, the modern kitchen is a place to cut a deal and put up the most memorable conversation while the piece of meat roasts up for dinner. From towels to the floor, you must remember to inject in some sense of freshness, uniqueness and personality. Bring a new design and see how things work out with your style. The kitchen is just but an extension of your beautiful experimentation with color and creative designs, so you should never stop wild of trying the undone. Check on the newest additions at your favorite stores and change a few things. Always try to be personal! Curtains may look like they are a prerogative of the living room and the bedroom, but the kitchen also shares in this dignity and style as well. 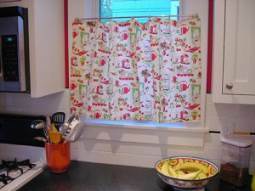 Kitchen curtains offer a great way to control the airflow and the privacy of your kitchen, especially if you need to pull a stunt or two at your mealtime. 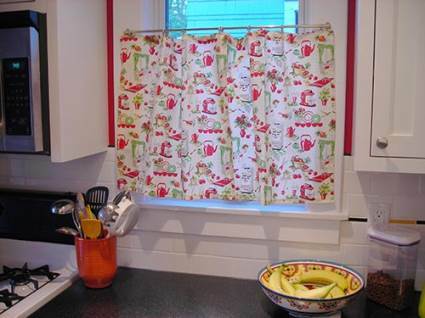 Control the flow of air and enjoy the freshness of your kitchen simply by having your curtains up or down. You do not have to work with the suspicion of the neighbor next door peeping into your kitchen, so the curtains will as well reinforce that wall of privacy you have been agonizing about over the last days. Check anywhere you can dream off to find the best retro kitchen curtains for your home, you will definitely find something new to tune up your kitchen into a mini-palace of your time. Okay, your kitchen does not have to remain empty like a hall. You need to adjust everything about your kitchen so it looks busy, contented and inviting. Get the best kitchen sets for your home so that your kitchen not only looks occupied but also trendy and stylish. You can get the best sets from the closet mall around you, but you can also shop around in the neighborhoods if you are working on a limited budget where you need a few concessions to get a win-win situation.